There is a big change just days before the WWE 2012 Elimination Chamber pay per view. Randy Orton is out of the match after suffering a concussion Monday night against The Big Show. 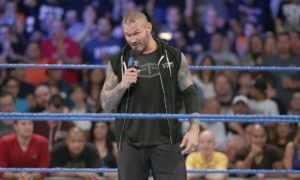 WWE.com reports, Orton will not get clearance in time to compete on Sunday’s show. This seems to be a familiar story for those of us that have followed the career of Randy Orton. Orton may be the most injury-plagued WWE megastar of the last decade. For whatever reason, Orton has had a terrible time trying to stay healthy over the last few years. The concussion is his second in less than a year since his head injury last June in Spain. I am not quite sure where Orton suffered the injury in the match. It could have been the belt shot to the back of the head from Daniel Bryan but that is just a guess. Regardless, Orton is out of the match and could miss at least next week’s television tapings. My hunch is that he will be back for the following week, if not back by Tuesday. It is a tough break for The Viper. In my opinion, Orton has been at his best over the last 12-16 months. His matches have been good to great over that time period with CM Punk, Christian, Dolph Ziggler, Cody Rhodes, and Wade Barrett in particular. The company may think twice about putting the belt back on Orton for the long haul. Every professional wrestler is at risk when they step inside of the ring, but for some reason Orton is just one of those guys more susceptible to injuries than most. Spoiler Alert – Do not read any further if you wish to avoid SmackDown spoilers. Okay, you have been warned. A battle royal was held on Tuesday’s SmackDown taping with the winner getting Orton’s spot in the Chamber match. Santino Marella eliminated David Otunga to win the match and the spot. This will be Marella’s first championship main-event on pay per view. According to reports, the finish of the match got a huge reaction because it wasn’t expected. Earlier reports suggested that Mark Henry would be called back to duty to replace Orton, which would have made sense. Henry is on leave to rehab a couple of nagging injuries he has accumulated over the last few months. My guess is that he just wasn’t ready to wrestle or the company would have proceeded with the plan. It would not shock me at all to see Santino survive until the final fall of the match. The WWE did something similar with him at last year’s Royal Rumble and I thought it was great. Fans will be expecting him to be eliminated early, thus I could see the company teasing a swerve. However, I would be absolutely stunned if he won the match. WrestleMania XXVIII Championship Gear now available at WWEShop.com!